Mega Sale! 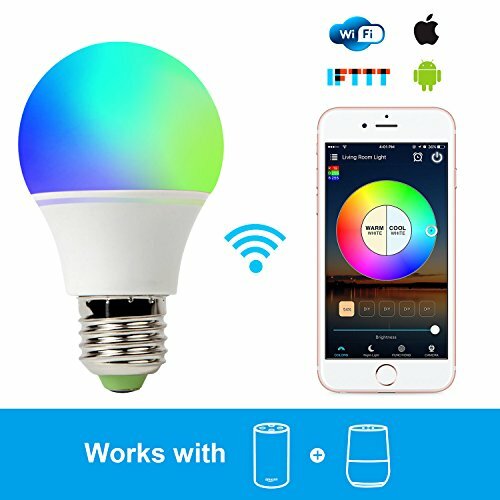 Save 25% on the Smart Light Bulb Work with Alexa, RGB 45W WiFi Bulb Assistant for Amazon Echo and Google Home. Multicolor, Dimmable,No Hub Required, CE/FCC/UL Listed by GeekDigg at Elect Forum. MPN: GDHIDB1862WTUS. Hurry! Limited time offer. Offer valid only while supplies last. [Easy to setting] No Bridge Required, Just enter your Wi-Fi password in Magic Home Pro app to connects to your home network. [Multicolor and schedule feature] Personalize your own favorite color and adjust the brightness based on your needs in different environments. You may also set up schedules to turn on/off according to the preset time. [Remote Control from Anywhere] Control from anywhere via your iOS/Android phones by simply downloading the Magic Home Pro and set up the wireless connection. If you have any questions about this product by GeekDigg, contact us by completing and submitting the form below. If you are looking for a specif part number, please include it with your message.